Brains, beauty and versatility – Poodles have it all. If you’ve ever loved a Poodle, you already know why they’re the best dog breed for a wide variety of lifestyles. If you haven’t, you’ll soon realize why your next dog should be covered in curls. The traditional Poodle clip, with bald legs and pom-poms of hair on the ankles, head and body may look ridiculous to some, but it was designed with purpose. The poms keep the dog’s joints warm when they’re swimming in cold water, while the shaved portions keep them from getting weighed down so they can glide through the water. Poodles are great dogs to take to the beach, lake or creek. They love playing fetch in the water, or splashing around with you and your family. 2. They can be styled to suit their personality. Since most Poodles do not spend most of their days at the docks, they can be styled in many different ways. The traditional pom-pom look is called a Continental Clip. Medium length with a pom on the tail is called Bikini Clip. Many owners choose a Puppy Clip, a soft look that’s well-suited for relaxing at home. Some Poodles wear dreadlocks, called the Corded style, though this is a rare look. 3. Poodles come in three sizes. The Standard Poodle is the largest, weighing in at about 50-60 pounds. They’re 15 inches at the shoulder or taller. The Miniature Poodle is the medium size, 11 inches at the shoulder and 15-17 pounds. The Toy Poodle is the smallest, and most portable, small enough to fit in an in-cabin airline carrier at 9 inches at the shoulder, weighing just 6-9 pounds. 4. They (actually) don’t shed. Many breeds are touted as non-shedding, though this is often untrue. Poodles are different. A Poodle does not have fur – they have hair. Their hair does not have an undercoat. Dogs with an undercoat are the ones that shed the most. The Poodle’s hair has a longer growth period than most dogs’ fur, so it will continue to grow for much longer before it falls out. Their coat is water resistant, and less likely to cause allergic reactions. 5. Poodles are super smart. They’re one of the smartest dog breeds, second only to the Border Collie. Poodles learn remarkably quickly, and can learn hundreds of words in their lifetime. They learn from training, as well as by observing. Even if you’re not the best trainer, a Poodle seems to “just know” what you want them to do, as though by instinct. 6. They make great trick dogs. Not only are they clever; they’re also willing to please. Poodles are motivated by food, toys and praise. It’s easy to teach them new skills. 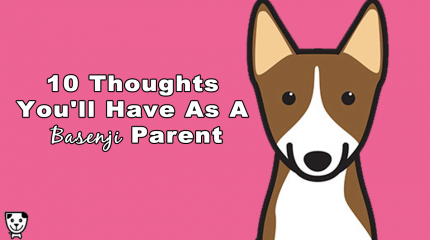 They can even learn complex behavior chains and elaborate doggy dance routines. The Standard Poodle’s large size makes it easier for them to be helpful around the house. 7. They are champions at literally everything. Poodles are the highest performing dogs in almost every dog sport, from nosework to truffle-hunting to agility. The Standard variety makes a great service dog for people with disabilities. They’re also excellent therapy or emotional support dogs, and are often win awards in Conformation Shows. In a short period of time after getting a Poodle, you’ll find yourself looking for a professional-quality camera. Those stunning brown eyes and long legs make them look elegant, even when they’ve just been rolling in raccoon poop. The camera loves a Poodle, and they can’t resist stopping to strike a pose. 9. Poodles love to cuddle at night. 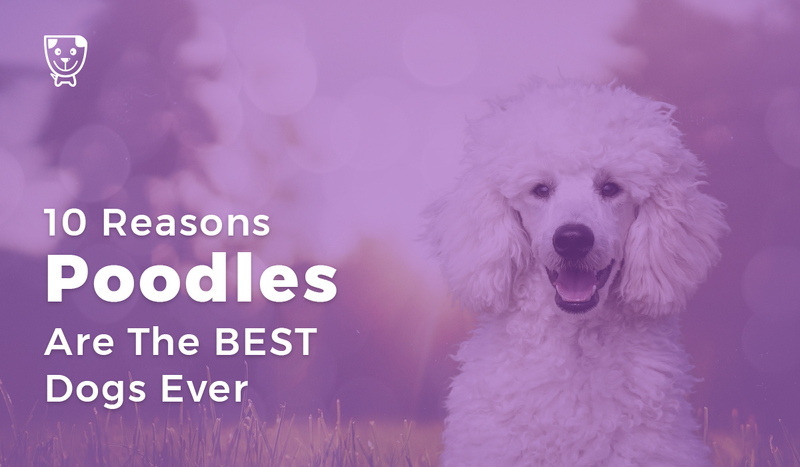 While they’re relatively active during the day, insisting on plenty of walks, physical and mental stimulation, your Poodle will love to snuggle up to you at night. Their warm, curly coat is perfect for cold winter nights – you’ll be able to get rid of your heated blanket! 10. Poodles are a lifestyle. 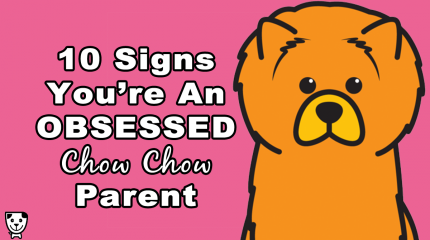 You’ll quickly discover why this breed is so popular around the world. 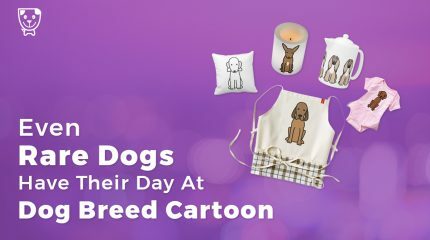 It won’t take long for your home to become overrun with adorable Poodle gifts – mugs, artwork, mousepads and more featuring your favorite dog breed. If you are looking for some poodle illustrated household and clothing items, we have many waiting for you in our shop. POODLES ARE BEST DOGS IN THE UNIVERSE WONT LIVE A DAY WITHOUT ONE?? Border Collies are definitely not smarter than poodles. They’re only faster! I didn’t need 10 reasons…the eyes have it! We soooo love our Pip? ❤️? My poodle is 15yrs old now and is the best breed I have ever had!He is very smart,loyal and loves people,he is a canine good citizen,Certified therapy dog,nothing makes him more happy than visiting schools,hospitals etc.great,great dog! I’ve loved my poodle for 18 yrs. She is slowing down. I have to cook for her. She snuggles up to me at night, She misses her daddy (my husband) as much as I do. Every time she comes in the house she looks for him. She goes to the chair he sat in. She doesn’t like to be left alone. I try not to be gone too long. I don’t know what I’ll do when she is gone . I’ll have to visit the Rainbow Bridge. Had dogs all my life and I decided to go for a standard poodle now, to make a long story short all what I have to say is that now we have 2 and how on Earth did I wait so long to have one(or two)?! They are incredible, smart, elegant, full of personality. Simply a loving breed. Poodles are Peoples….Nothing more to say. Just glad mine doesn’t have thumbs. I would be in trouble. He seems to know my every thought. One of two things, he is either extremely smart or I have too much time on my hands. I couldn’t live a day without my Winnie and no amount of money could buy him! I’ve had many breeds. Hands down, the very best!!!! You’ve missed a poodle size, Moyen or Klein. They’re small standards, commonly 18-30 pounds. Not a mix of standards and smaller poodles like most think, but a 4th breed. Not super common though so not a surprise you missed it. That’s fascinating, thanks for sharing! In North America there are only 3 sizes…..toy, miniature and Standard. The European moyen/klein is considered to be a “standard poodle” in Canada and the U.S.A. and shown in that “variety” in conformation classes. There is no actual class considered Moyen or Klein, they are just smaller Standard Poodles. My Spoodles have all stolen heart. They all have their separate ‘tats’ somewhere on my body. Each different personalities! Poodles are better than people. 🙂 We just lost our 17 year old girl. Best dogs ever! T.S., Border collies are a little smarter but poodles are a little better! No dogs are dumb! They are equal. I have my first poodles just now! I dont know how to handle from morning till night. Teddy is 3.5 years young. Miniature toy poodle at 8.5 lbs. He is the cutest, sweetest, smartest little man you could ever meet. He is a total people magnet wherever we go. Louie was a bully when I first met him. A pup that jump and bullied all the other pups around him. It was love at first sight. I grab him and said this one. I could not put him down ever since. Everytime I see him I just grab him…leaving him for work is the hardest thing I do everyday. Getting back from work and seeing him makes my day. It’s insane to imagine a day without him now. It is my first time to own a dog…and I got a poodle! It is recommended to me by my boss who owns a lot of dogs. My poodle is a miniature poodle…very cute! She looks like a stuffed toy. She’s very active and playful. She brightens my day always!